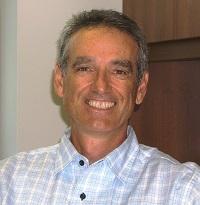 Ray Hughes has 30 years of experience in education as a teacher, Department Head, Consultant and University Lecturer. He is currently the National Education Coordinator of the Fourth R Project with the CAMH Centre for Prevention Science and a Research Associate with The Centre for Research and Education on Violence Against Women and Children at Western. Previously, Ray was the Learning Coordinator for Safe Schools with the Thames Valley District School Board where he coordinated the implementation of violence prevention programs for 190 schools and 80,000 students. Ray provides regular professional development to superintendents, school administrators, teachers, parents and students on violence prevention, bullying prevention, healthy relationships and safe school initiatives. In 2004, he was named to the Ontario Minister of Education’s Inaugural Safe School Action Team which advises the Minister on all aspects of school safety for the province.